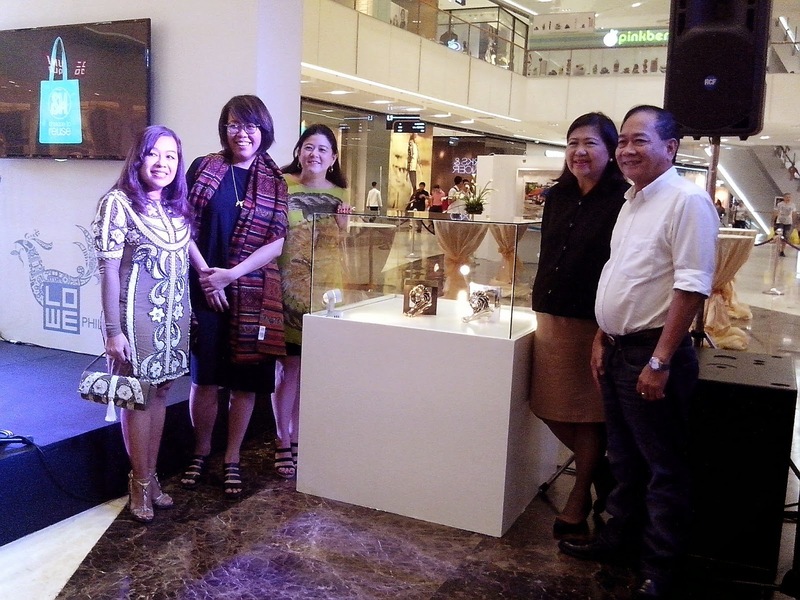 LOWE Philippines believes that the campaign will create more awareness about the improper disposal of plastics. 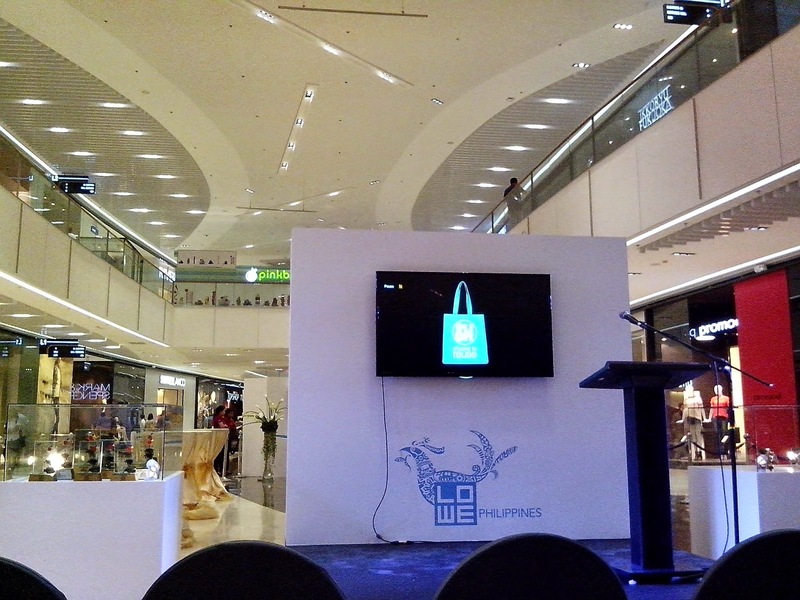 In line with this, the agency's project is a perfect match for SM's own campaign that encourages its customers to use eco bags for their shopping needs. 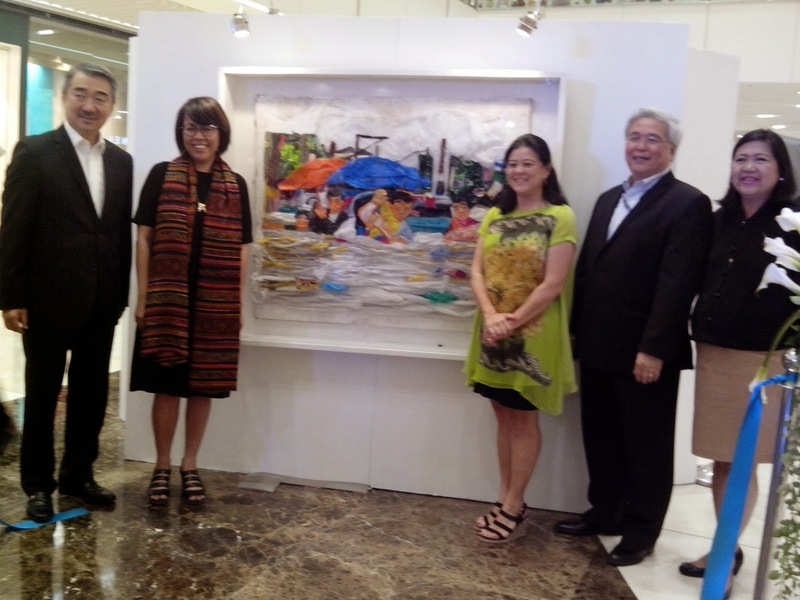 The exhibit will be displayed at SM Aura Premier Atrium from September 5-14, 2014. 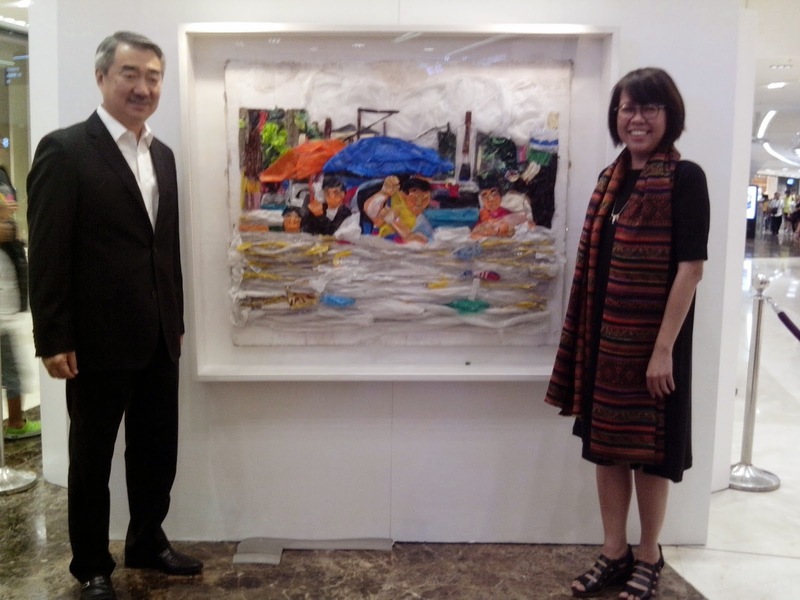 In 2009, National Artists Manuel Baldemor lent his art for SM's Eco Bag Project and since then, many other artists have lent their art for SM's campaign. 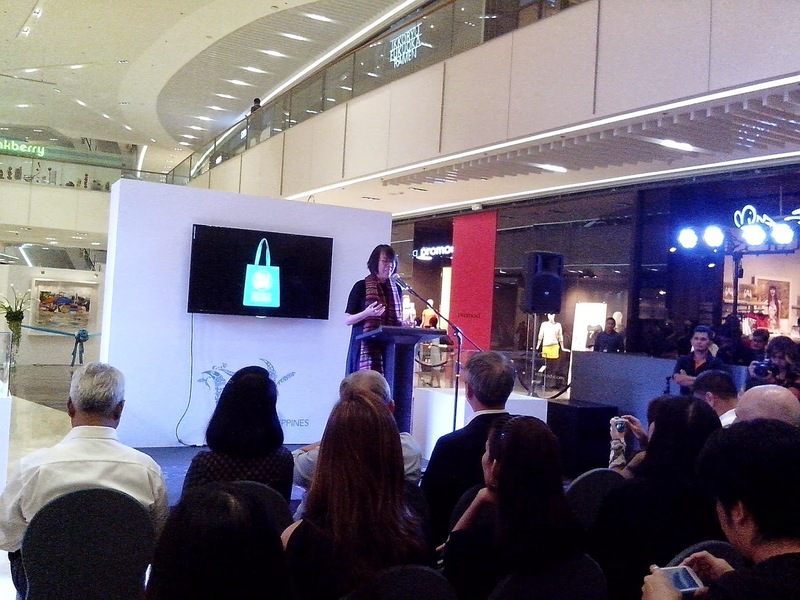 And to help spread more awareness, SM tapped the youth through its reusable bag competition. This is to spread the message of sustainable shopping habits using reusable bags. Today, shoppers are now more conscious about the environment and always bring a bag or two of this reusable bags especially when they shop. 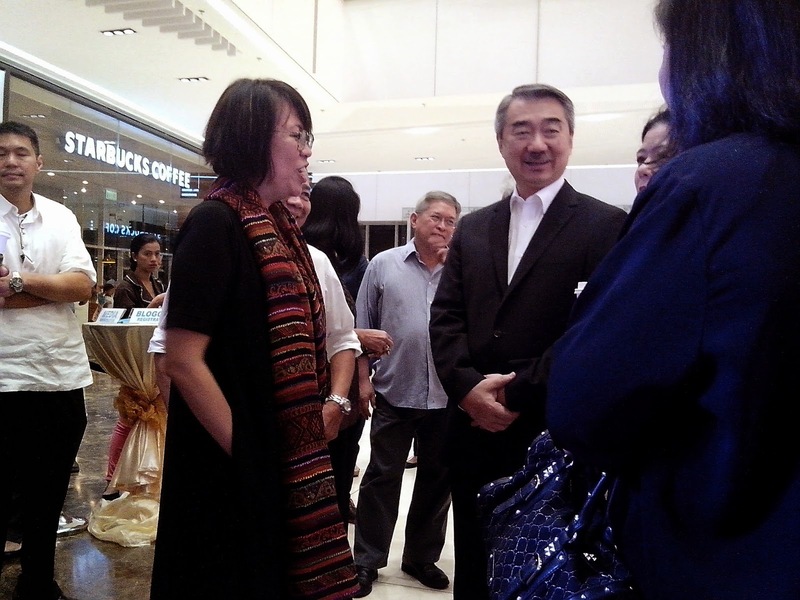 SM President Hans Sy graced the event. 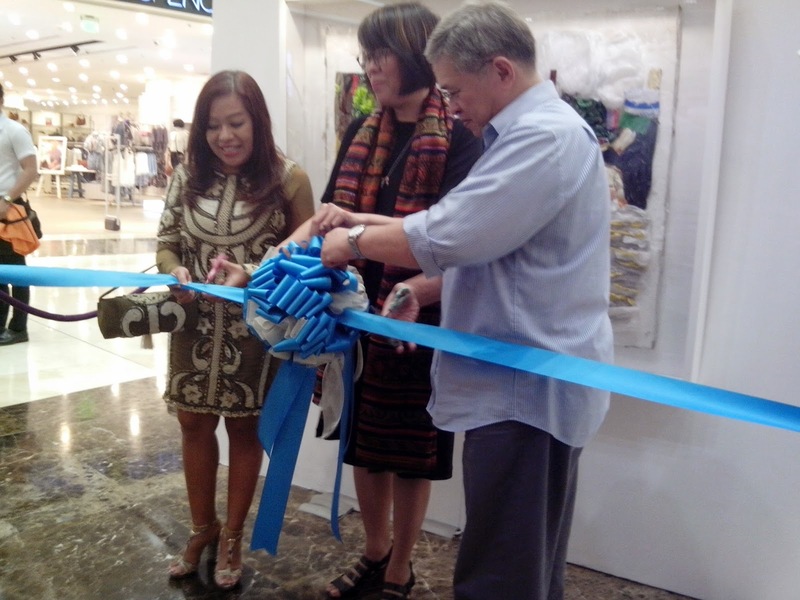 On his left is LOWE Philippines President Leigh Reyes. 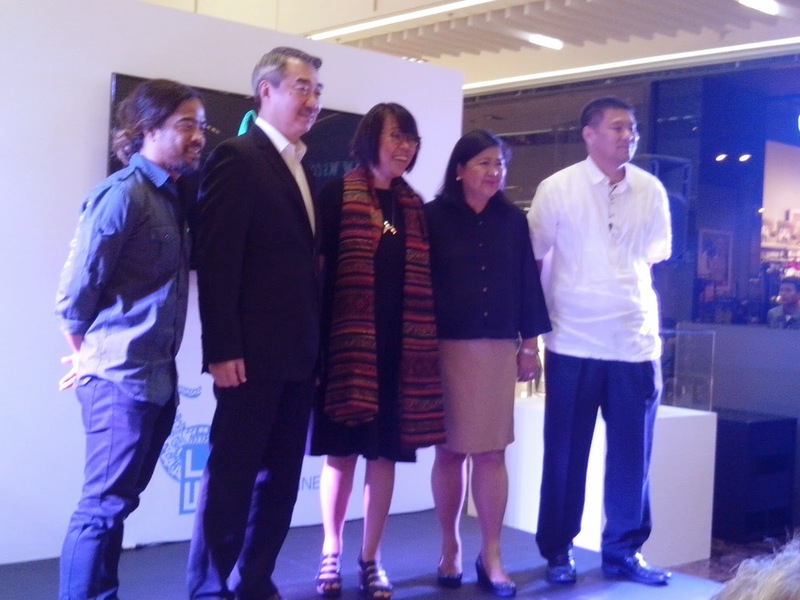 During her speech, Leigh Reyes shared that the agency has been working with SM on various campaigns, including environmental solutions and disaster preparedness. "While Plastic bags are still used, surely there can be creative ways to repurpose them. 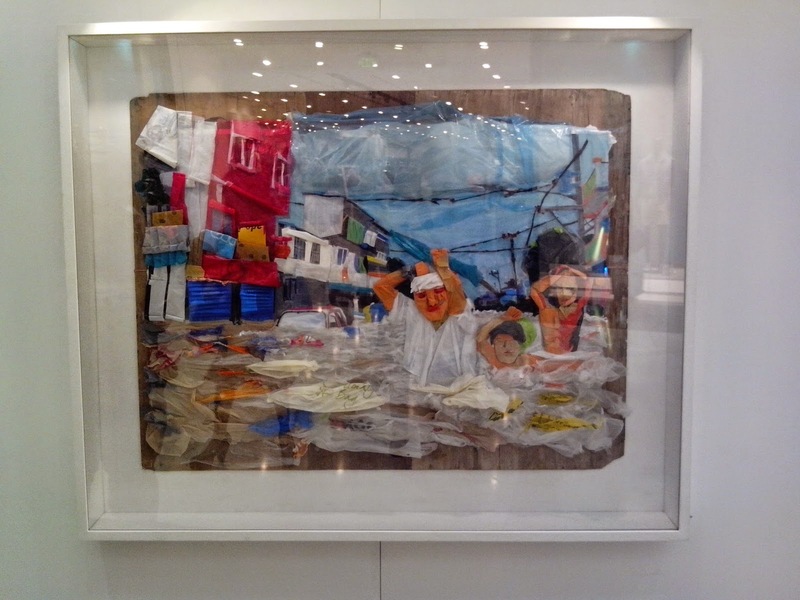 "The award winning plastic campaign to promote SM Eco Bags did exactly that. When we choose to reuse, whether it's plastic bags or SM Eco Bags, we are all helping the environment, in our own small way." 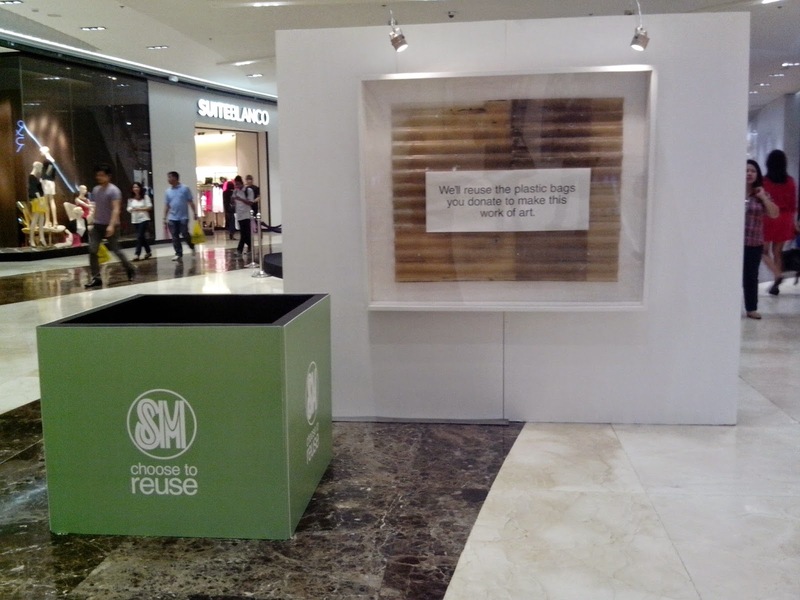 Aside from the exhibit, there's also an area where shoppers have the opportunity to drop their own used plastic bags in the the special bin. The collected waste will be used to create the 4th mural. 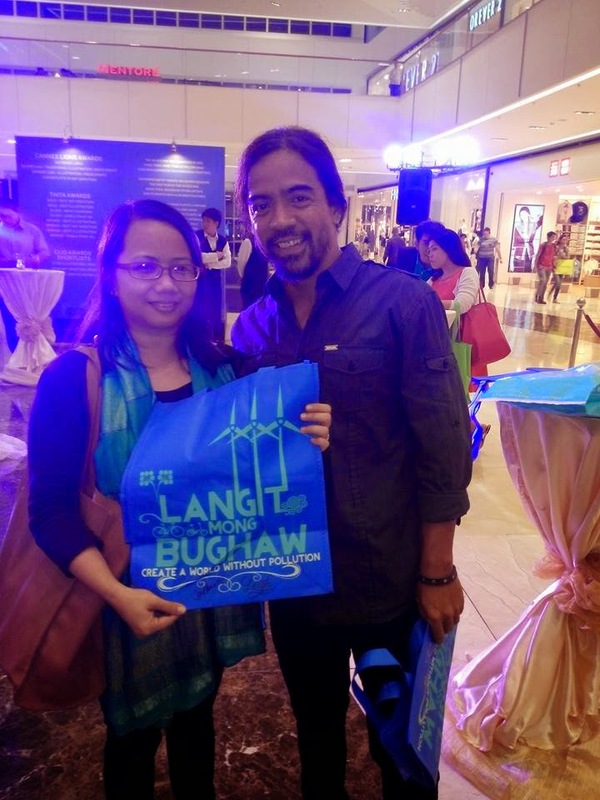 I had my special SM Eco Bag signed by Leigh Reyes and Joel Banzil, LOWE Philippines Creative Director. He was the one who made the award-winning murals. To be honest, I like getting those plastic bags cause we use them for our trash. But we're able to adjust with eco bags. 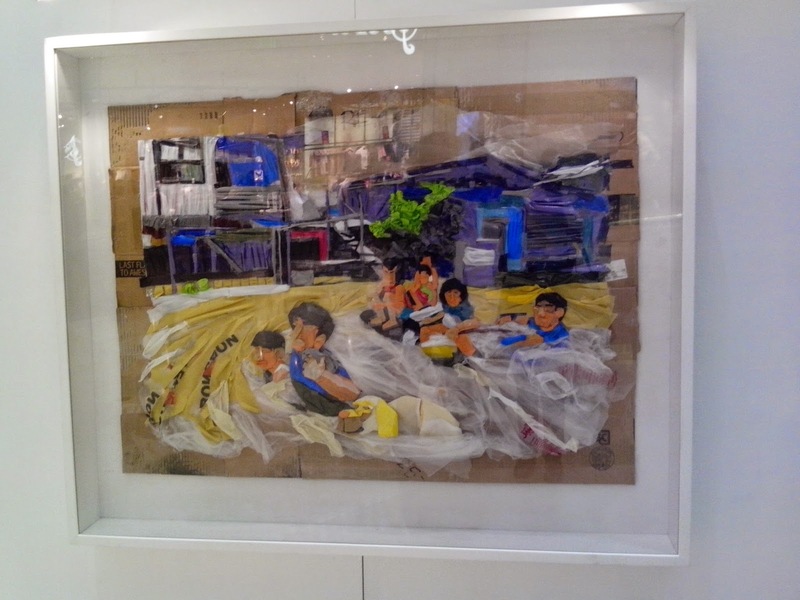 At first I thought that the murals are made from eco bags themselves. It's great that they desire to cut the use of plastic bags, but I do hope this doesn't affect trees where paper bags, if being used, were taken from. We've been investing in heavy-duty eco-bags to use in our shopping. I find it difficult to use the flimsy ones kasi. Yay for the environment! I love Eco Bags. We have tons and its always nice to get a new one. :) It's useful and actually something that can be reused over and over again. I use eco bags too, and I see many people who use when I'm at the market. I also noticed biodegrable plastic bags that some stores use. 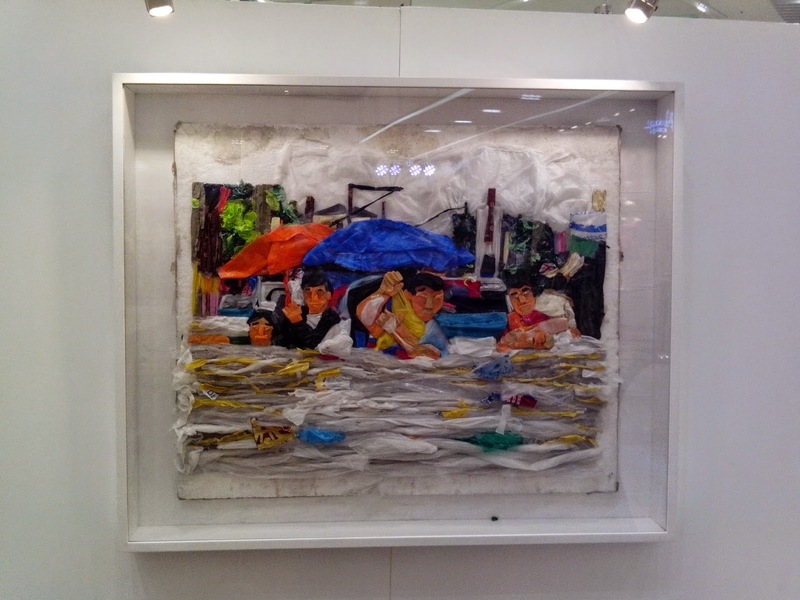 Kudos to the artist who make the murals out of plastic bags. I just hope that SM being the most numbered malls in our country and use loads of plastic bags daily will continue to lead in saving the environment. If we will replace plastic for our groceries, use eco bags or anything else reusable instead of paper bags. And if we get those plastic bags, there will be dozens if other uses for it so don't throw it right away. Its more environmentally responsible to reuse.